When President Clay Dixon's father-in-law - a former vice president - is injured in a farming accident, First Lady Kate Dixon returns to Minnesota to be at his side. Assigned to protect her, Secret Service agent Bo Thorsen soon falls under Kate's spell. He also suspects the accident is part of a trap set for Kate by David Moses, an escaped mental patient who once loved her. What Bo and Moses don't realize is that they're caught in a web of deadly intrigue spun by a seemingly insignificant bureaucratic department within the federal government. 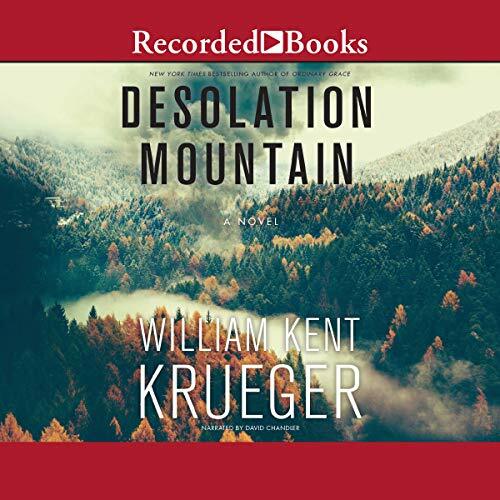 New York Times best-selling author William Kent Krueger delivers yet another "punch-to-the-gut blend of detective story and investigative fiction" (Booklist, starred review) as Cork O'Connor and his son Stephen work together to uncover the truth behind the tragic plane crash of a senator on Desolation Mountain and the mysterious disappearances of several first responders. This is a heart-pounding and devastating mystery the scope and consequences of which go far beyond what father or son could ever have imagined. Stephen joins his father, Cork O'Connor and a few Ojibwe men from the nearby Iron Lake reservation to sift through the smoldering wreckage when the FBI arrives and quickly assumes control of the situation. What seems like the end of the O'Connors' involvement is, however, only the beginning of a harrowing journey to understand the truth behind the Senator's death. As he initiates his own probe, Cork O'Connor stumbles upon a familiar face in Bo Thorson, a private security consultant whose unnamed clients have hired him to look quietly into the cause of the crash. The men agree to join forces in their investigation, but soon Cork begins to wonder if Thorson's loyalties lie elsewhere. 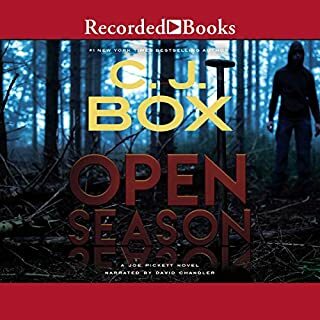 In that far north Minnesota County, which is overrun with agents of the FBI, NTSB, DoD, and even members of a right-wing militia, all of whom have their own agendas, Cork, Stephen, and Bo attempt to navigate a perilous course. Roadblocked by lies from the highest levels of government, uncertain who to trust, and facing growing threats the deeper they dig for answers, the three men finally understand that to get to the truth, they will have to face the great menace, a beast of true evil lurking in the woods - a beast with a murderous intent of unimaginable scale. I've read most of these, despite having sworn off reading any more some time ago. There's too much reliance on characters whose motivations are obscure and their opposition to good sense utterly obdurate and wrongheaded. On the other side are sensitive new-age more-or-less Native Americans. The setting is good, the writing is good (if bipolar, as above), the characters are engaging, the conflicts not real but certainly based on topical trends. I like the heart of these books, though I resist their simplism and dualities. But I guess I'll keep reading them. It all seems to begin with a troubling vision Stephen O’Connor has that is burdening him. 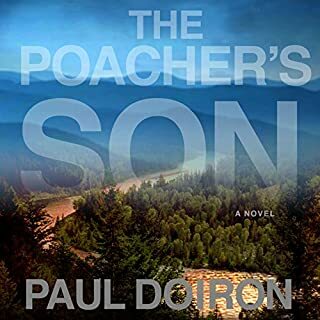 He seeks answers from Henry Meloux but when a plane carrying their US Senator crashes on nearby Desolation Mountain, Stephen believes that event is connected to what he’s seen. When he, Cork and his brother-in-law Daniel English head to the crash site to help search for survivors, that sets off a chain of dangerous reactions. 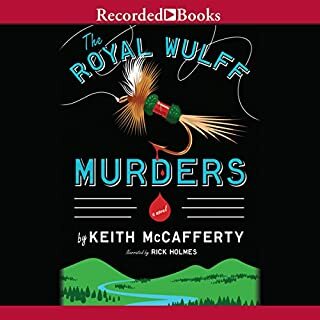 I so love this series with its strong sense of setting expertly connected with the indigenous Anishinaabe culture. I’m 17 books in and continue to learn about the region and customs. The characters have evolved so naturally, especially Stephen as he embraces his heritage and attempts to find his way into his own identity. Cork is also learning how to parent his now adult children and his joy in helping raise his grandson, Waaboo, is just lovely. These are the subtler and finer points of the story in the midst of a confounding, suspenseful mystery. While the plane crash brought out every alphabet agency, all trying to assert their authority, there were rogue operators in their midst who weren’t above taking drastic measures to forward their agenda. This was an extremely puzzling mystery, moreso because you really couldn’t figure out the good guys. Tip of the hat to the author for inserting some of the sentiments currently dividing our country without taking a point of view and making it relevant to the people in this Minnesota region. It rang so authentic and was in keeping with the characters we’ve come to know. For me, the narrator, David Chandler, has become an integral part of this series. He’s just wonderful and I’ll always listen to these stories. I loved everything about this one, even the awful parts because they kept this true and authentic. Fell asleep twice during this audio book. It played all the way through both times I tried to listen to it so I still have no idea who did it. I loved Ordinary Grace, but this has way to much "woo woo" (dreams, visions, etc) for my tastes. Some of the characters were to weak to hold my interest. 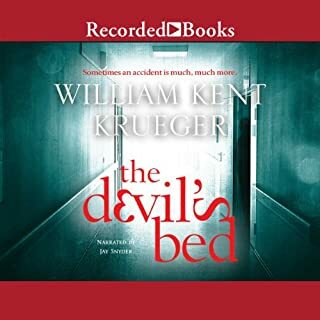 I may try another Krueger book, but this one wasn't one I would recommend unless you have trouble sleeping. Another excellent Cork O'Conner series by WKK! 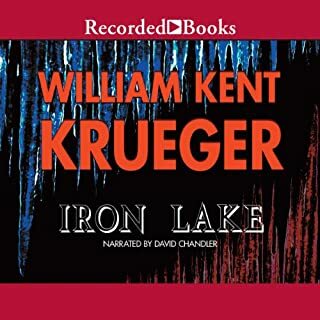 The pairing of writer William Kent Krueger and narrator David Chandler are the best to which I've listened. The only drawback is having to wait another year for another book! worst narrator I've ever listened to on Audible. Not William Kent Kruegers best effort either. I am giving this latest book in the Corc O'Connor series 2 stars. All of his other books I give 4 or 5 star ratings. The only reason I gave it 2 stars was because I did finish it and I did not send it back. I question whether Wm Kent Krueger even wrote this stuff. The characters were poorly developed; and the parental character, Rainy was annoying; plus all of the plot turns -didn't make sense. The characters were constantly travelling back and forth to Henry Millu's cabin - I found that odd. William Kent Krueger has crafted another excellent addition to his Cork O’Connor series. This installment ranks on top of all in series. The story grabs a hold of you and won’t let go until the final word is spoken. David Chandler, as always, gives an excellent performance as he brings all the elements together to bring life to the written words. 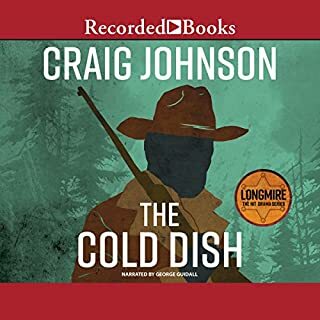 I highly recommend this audiobook to fans of the series, and those interested in mysteries wrapped in the western flair. I love the characters. I enjoy the spiritual aspects of the story. Regrettably the government cover up is probably more true than not. The themes are family, community, spirituality, and human greed and lust for power. I was hoping for more. A storyline from Minnesota. history wrapped up in what seemed a compilation of rehashed information...but maybe I am too critical.